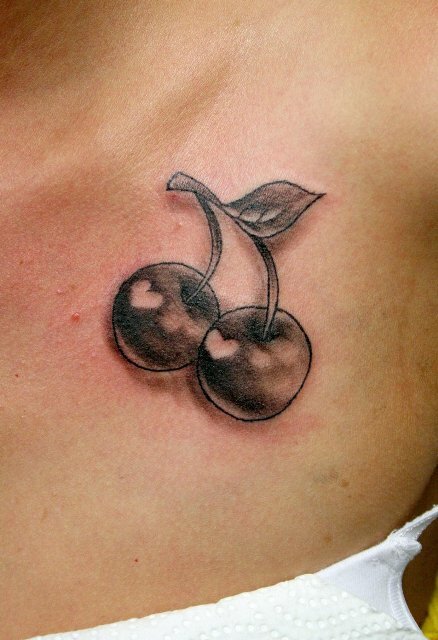 From my point of view a cherry is one of the most popular berries along with a strawberry, a raspberry and a blueberry. 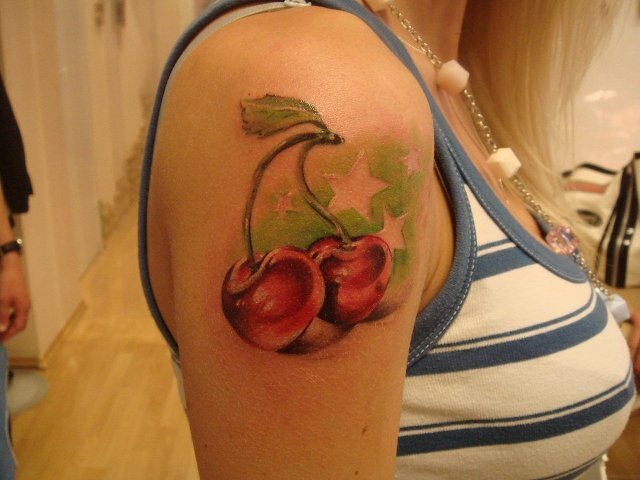 So if you are looking for cool and fresh tattoo ideas, then you should choose a cherry image, for sure. 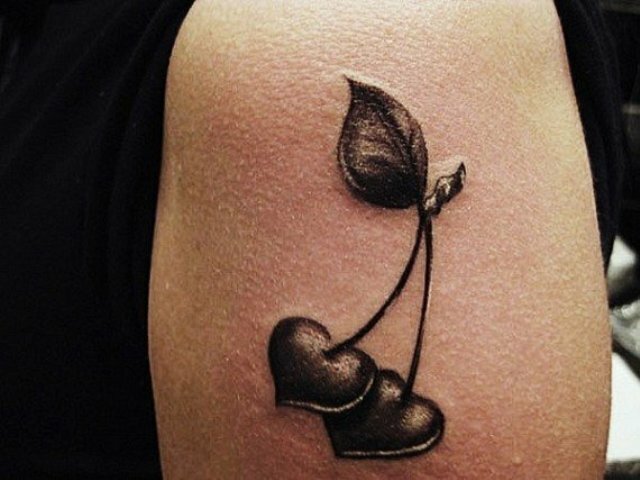 But what does this kind of tattoos mean? 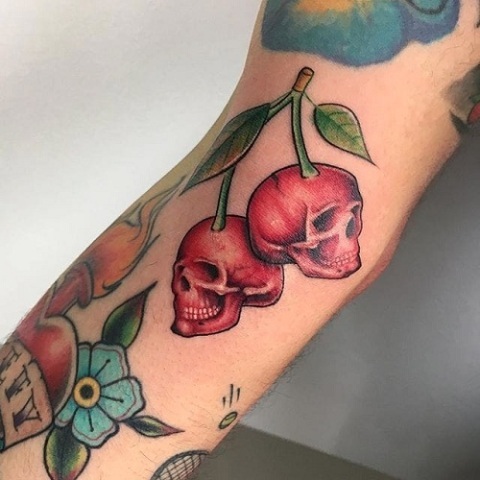 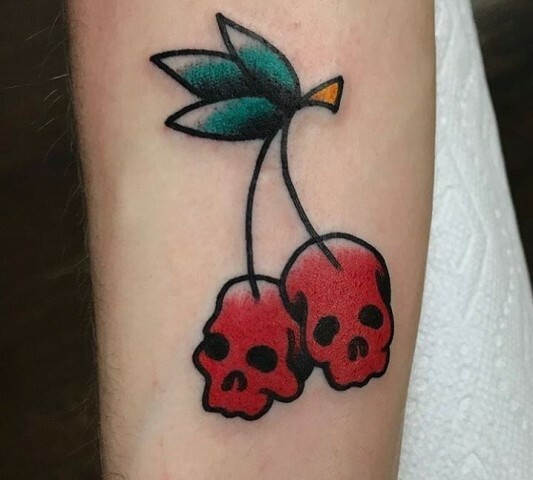 It’s easy to guess that a cherry tattoo is a sensual and feminine symbol (that’s why so many women choose it), and it represents a passion, a love and an intensity. 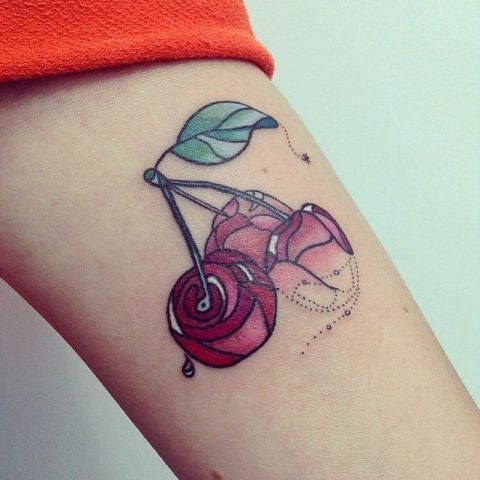 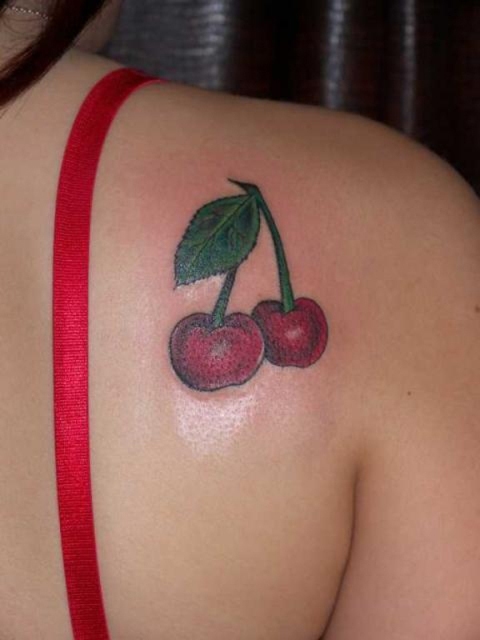 You can also find that a cherry tattoo symbolizes a purity and an innocence. 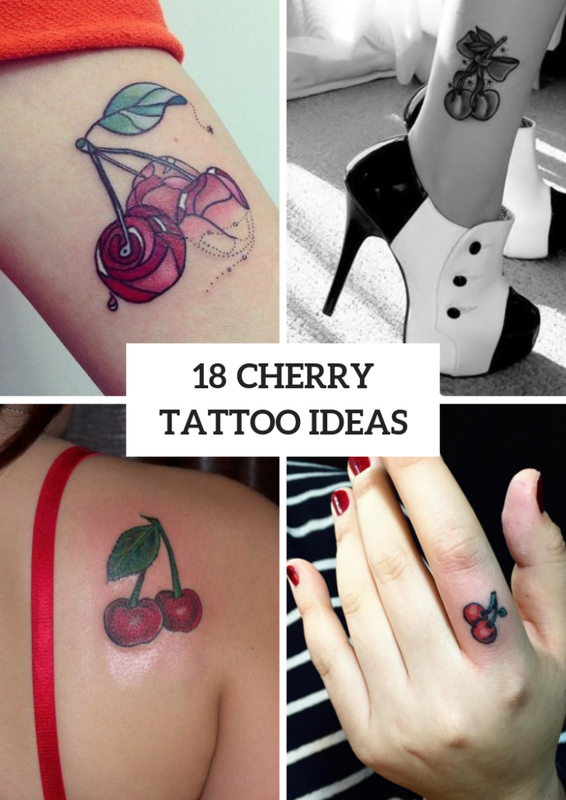 Right now you can consider all ideas, so don’t waste your time and scroll down. 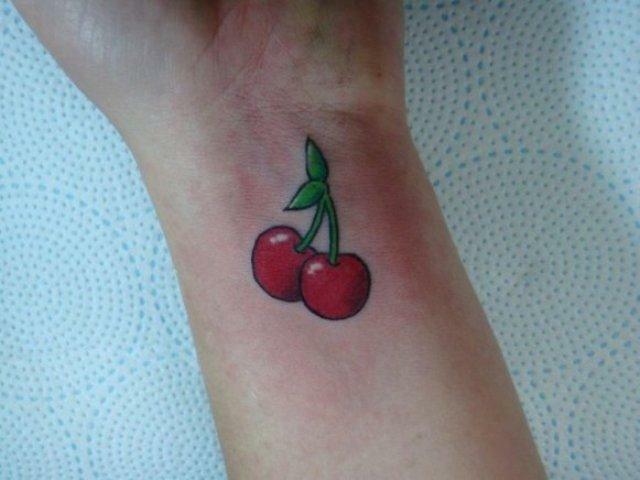 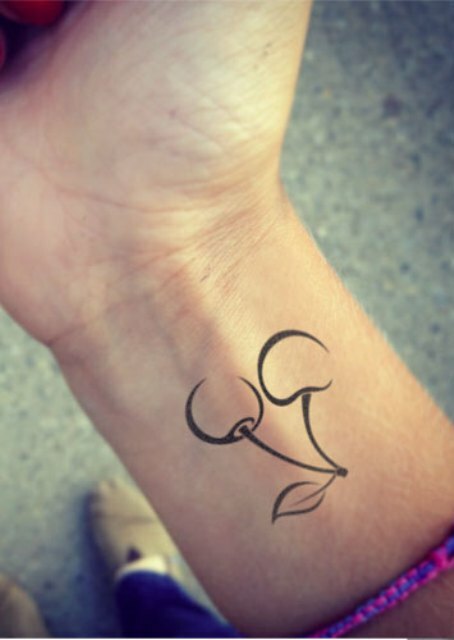 For those who love a minimalistic style and want to make an elegant and simple tattoo at the same time I offer to pay an attention to a black-contour cherry tattoo idea on the wrist and a black and white cherry tattoo on the ankle. 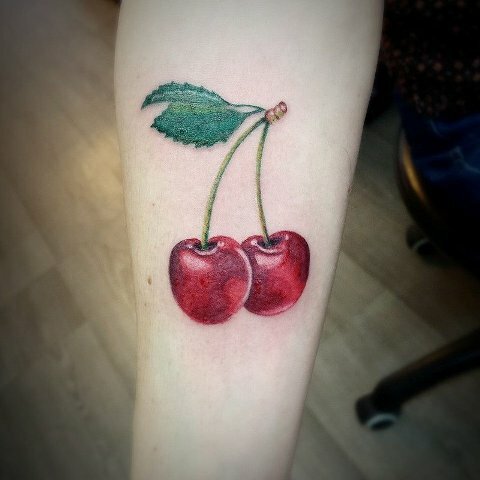 If you want something unique and special, then ask your tattoo artist to ink a cool 3D cherry tattoo on the chest or a geometric cherries with leaves tattoo on your foot. 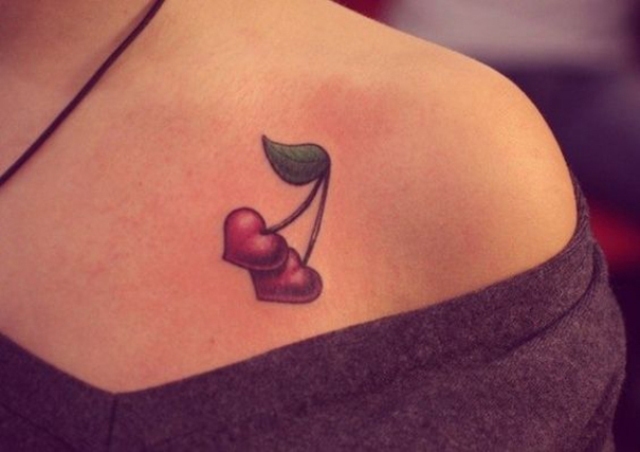 One more creative idea that many ladies choose is a heart shaped cherry tattoo that look adorable on the arms or chest. 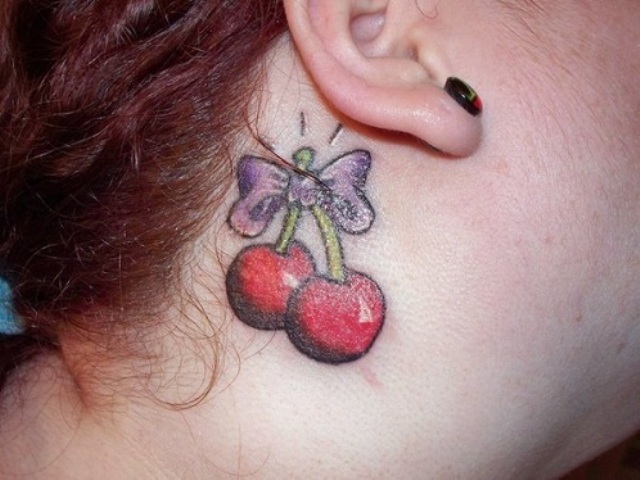 Of course, the colorful cherry tattoos are more common than black ones. 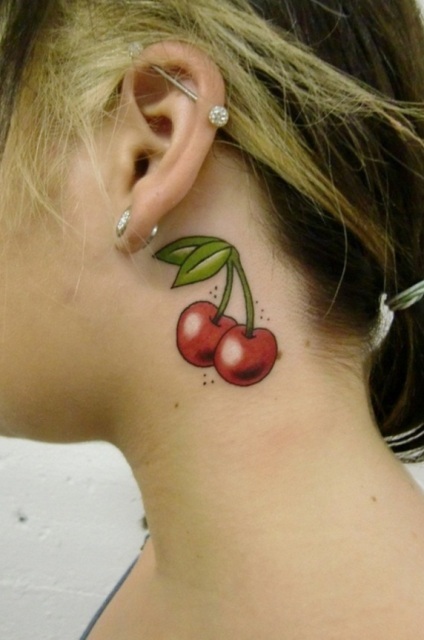 So if you want to add more colors to your life and image, then you should pick up red, pink or marsala cherry tattoos. 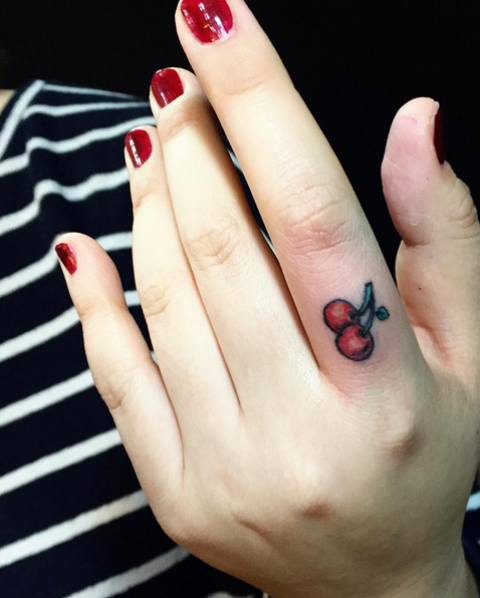 If you aren’t ready for the big tattoos, then try to repeat a tiny cherry tattoo on your finger, wrist or behind the ear. 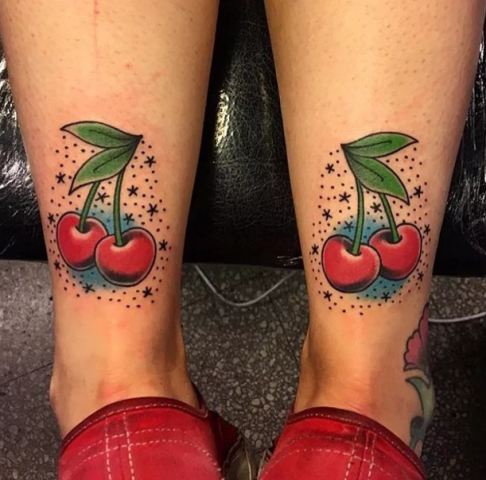 Wanna a more eye-catching idea? 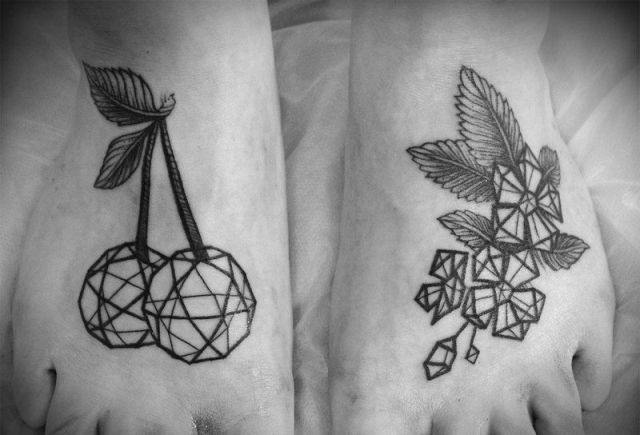 Then you can ink two matching cherries and sparkles tattoos on your both ankles, it looks absolutely amazing!